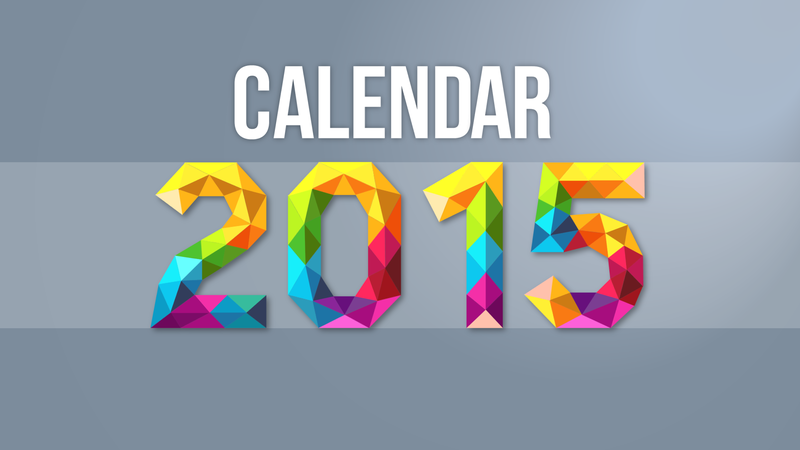 The year ahead will also be filled with plenty of appointments, dates and business goals. 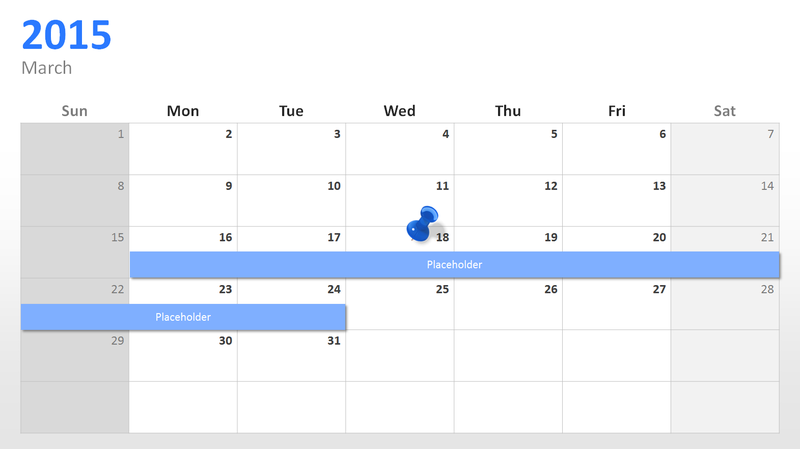 To provide a well-structured overview for you, PresentationLoad has created an annual PowerPoint calendar. Conventions, congress, conferences and meetings – these are some of the scheduled company events. One can easily lose track of all those commitments so that it is recommendable to use well-organized calendars. It is important to use different calendars for different areas. Do not mix private and professional appointments. Use daily and weekly plans to schedule private meetings and doctor’s appointments and do the same for business appointments. Plan each area of life separately and keep track. Add notes if necessary. 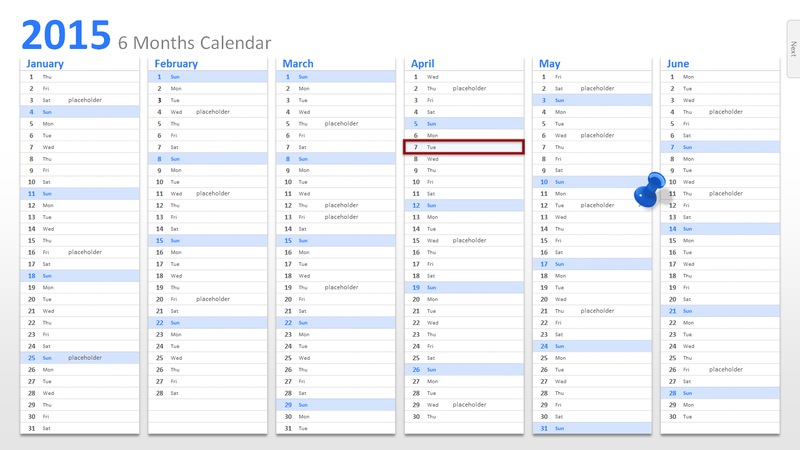 Which calendar format will be the right one for you is your choice. We always carry our smartphones with us so this may be a good option. But small pocketbooks are handy and practical, too. Choose whatever is most convenient for you. Most important is that it is easy for you to handle and that you can access it immediately. PowerPoint calendars are a helpful tool for companies. Just plan all your annual events on marketing, sales and production in PowerPoint and present it to employees, employers and colleagues. Nothing is more helpful! 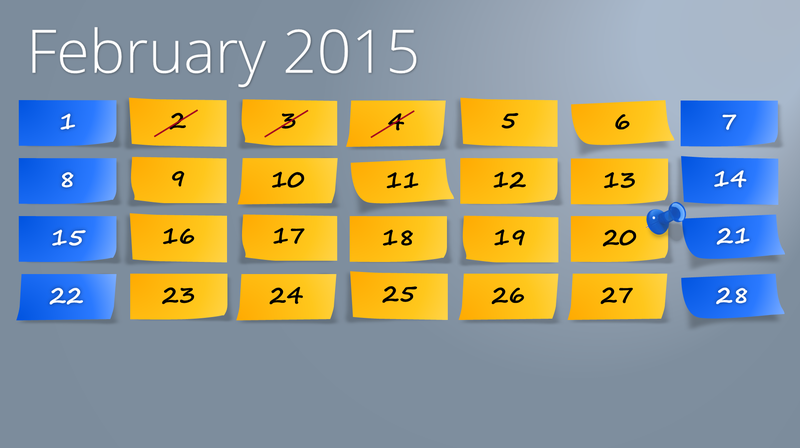 Present all dates, deadlines, time periods and occasions with the help of calendar templates. Insert stylish pictures and graphics. These slide collections provide you with annual calendars, semiannual calendars and quarterly, monthly and weekly calendars. Adjust text and graphic elements and customize all templates according to shape, color and size. 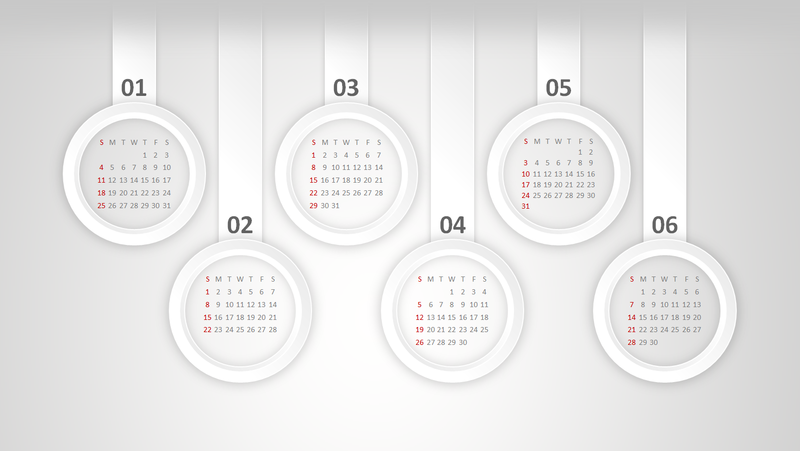 Start your professional year with sophisticated PowerPoint calendar templates!